Review: Isn’t it the best period of the year for a book taking place during the Christmas holidays? I admit that the story immediately attracted me when I saw the French cover and when I understood that I could find a nice Christmas story. Then I must say that I saw a lot of positive reviews and it made me more and more curious. 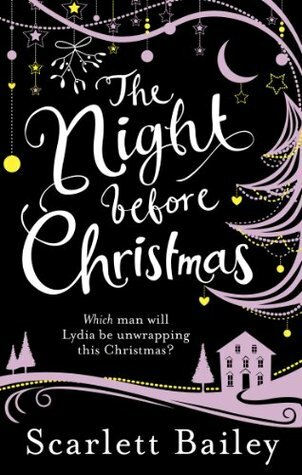 Lydia never had any luck during the Christmas periods, and when a short time before, she finds an engagement ring in the drawer of her mate, she remains speechless. This jewel forces her to think about her relationship with Stephen and she concludes that she may not be in love with him and that their relationship is simply something easy that has been installed over the years. And with the fear of not knowing what to answer, she decides to take her lover with her to celebrate Christmas with her friends to avoid having a favorable atmosphere for this proposal. But of course nothing will happen as planned and Lydia will make some choices that she hoped to never do. I took a great pleasure in discovering this story. I was really sad when I saw the relationship between Lydia and Stephen. They do not understand each other at all and yet he loves her a lot and she knows that telling him now that she does not love him like that would be very complicated. She therefore tries to stay the perfect woman, while moving away gradually. But in addition to this, she must also manage the arrival of Jackson, the man she once loved in a passionate moment and who disappeared overnight without ever giving any news. Yes, because this man stands here as the companion of one of her best friend and worst of all, he seems eager to reconnect with her. To say that Lydia is lost is an understatement, especially since like for Stephen, she decides to keep this history to herself to not spoil the holidays. But this omission will soon complicate her life each day a little more. But of course, there is more, and Will comes in the picture. He is the villagers who comes to live with them for a few days to help them to repair any malfunctions of this house as it became completely isolated from falls snow. I really liked Will, he is natural and straightforward, so different from any other men that we discover. I was really wondering with whom Lydia would finish at the end of the story because everything really is difficult . I liked the ideas of the author in the novel, featuring a story with a man from her past, her present and her future. It was really well organized and found and it was nice to see how our heroine would manage to live among all those people who would like to stay with her. But of course, I should also add that Lydia is a heroine full of freshness throughout the story and whatever she does, she always ends up in zany situations and it was always funny to see how she would resolve everything. But we must also count on the support of her friends who would do anything for her even if they are almost all in situations of intense stress. Finally you can see, this is a perfect read for this period and it was a real pleasant read. A nice surprise. This entry was posted in Romance Contemporaine, Scarlett Bailey. Bookmark the permalink. past present and future men huh? What an interesting concept for a retelling. I like the sound of this book! One of my fave stories is A Christmas Carol, so I would probably enjoy this retelling. I don’t think I have a single holiday read on my review list. I realy want to read a holiday/christmas story this year! I have never read one ever >.< This one sounds like one I could like thoguh it sounds like it's more than just another fluffy no-point story and the past/present/future concept is so perfect! Great review! I did fear you were going to review some erotica novel, but this one sounds really nice. Thanks Melliane! lol no, I’m really not into erotica novels. I love love love Christmassy stories when they’re done well, and this sounds like it has a lot of potential! I may just have to look this one up.